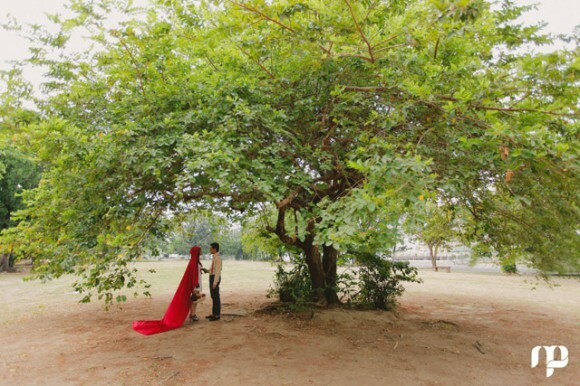 Most, if not all of us, dream of a fairy tale kind of love story where a dashing man sweeps a beautiful maiden off her feet and live happily ever after. 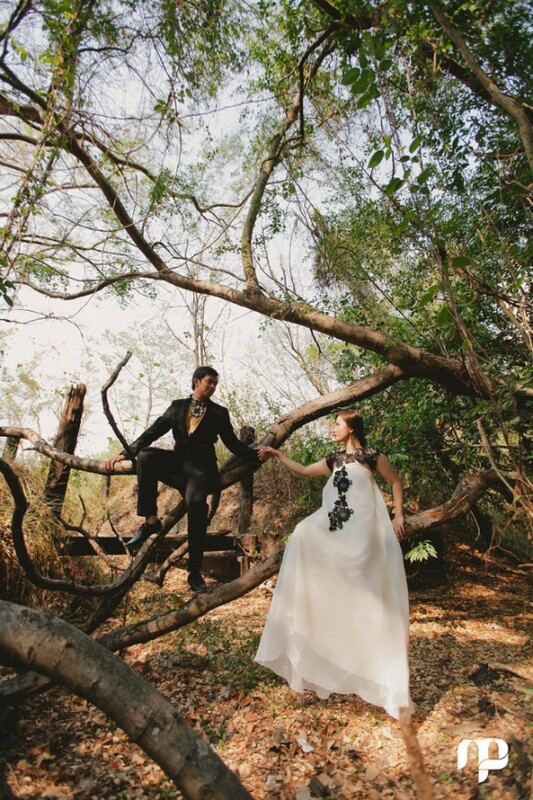 Happily in love and soon-to-be-wed couple, Don and Jomi, are living that dream and they brought it up a notch by having a fairy tale themed engagement shoot. 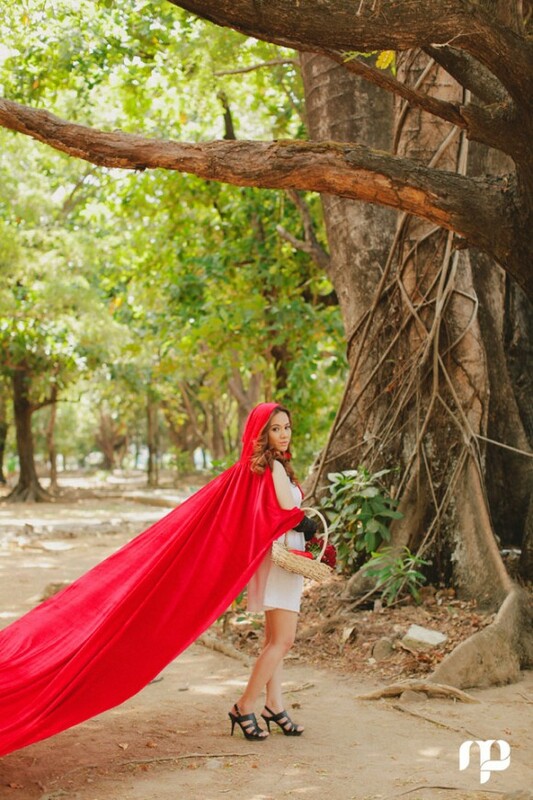 After all, it isn’t everyday that you get a license to dress up and be like little red riding hood, or a prince and princess. 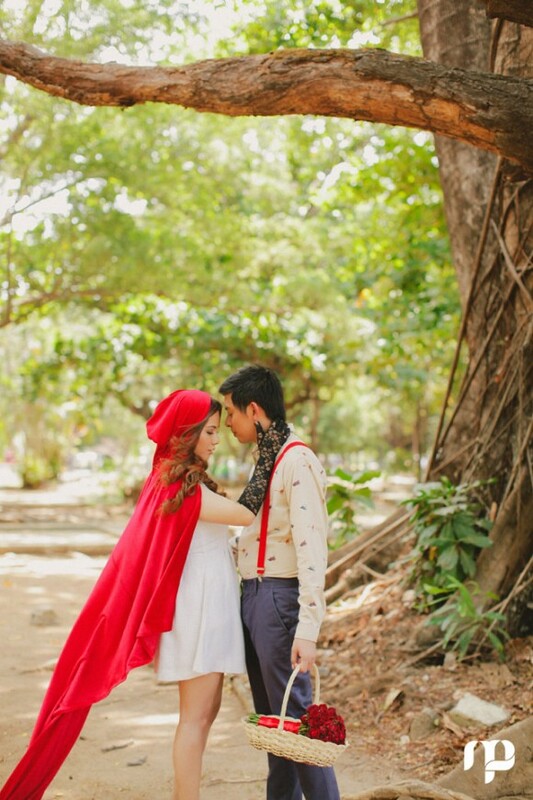 This fairy tale themed engagement session was shot in Subic by Michelle Pineda of Michelle Pineda Photography and I am so privileged to be able to share with you these beautiful photos from the prenup shoot. 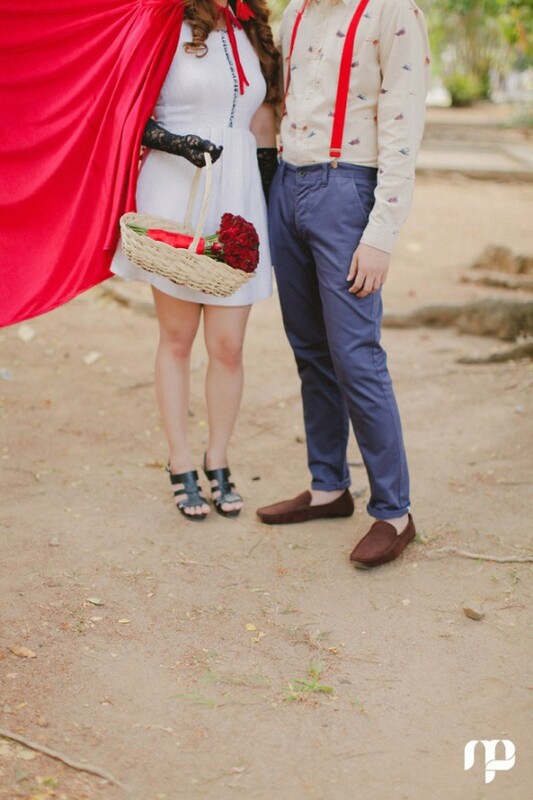 If you were to have a fairy tale wedding, which fairy tale would you choose? 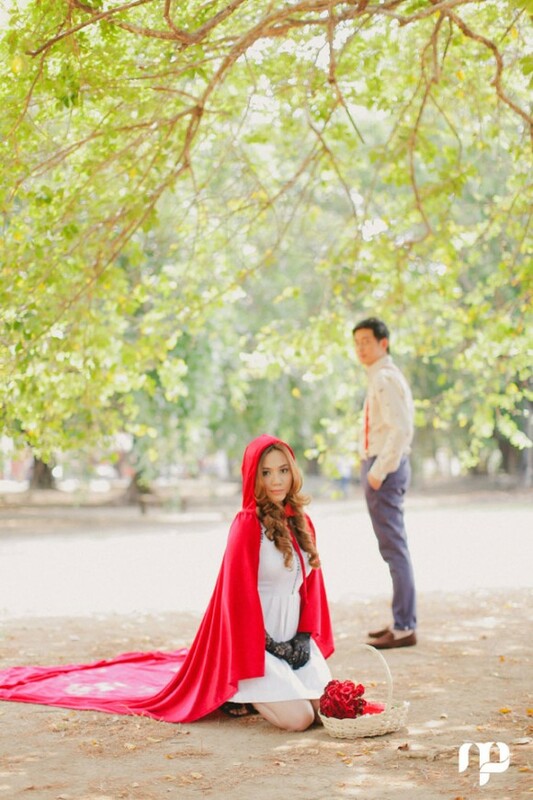 From stylist Jemi Nicdao: Our prenup shoot with Jomi and Don is inspired by the story of Little Red Riding Hood. 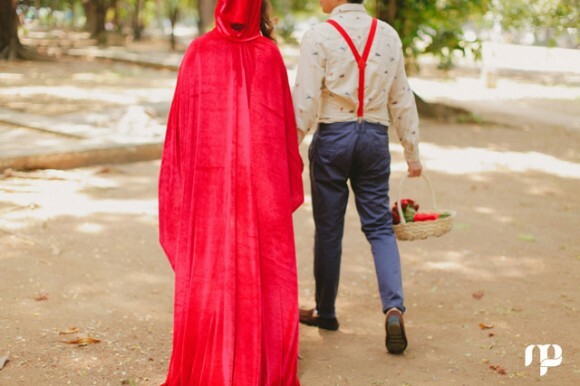 It is dreamy and magical – and in the end there is magic finding true love in the lost woods, no more hiding in a red cape. Is it not a miracle that in all the wide world, two people might find each other, fall in love, and spend their lives with one another? Sometimes when life treats us unfairly, when love leaves us brokenhearted, we forget that someday our prince will come. But if we open our hearts to the wonder about us, our own fairy tales can come true , from once upon a time to happily ever after. 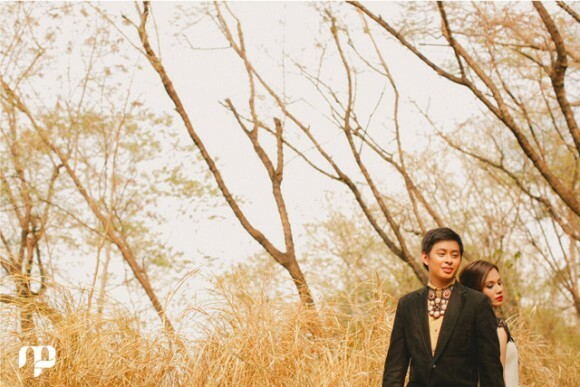 From photographer Michelle Pineda: With a wide range of concepts for the engagement pictorial, it’s refreshing to shoot something that was well thought of, I mean with a heartwarming concept, no extravagant props, just the couple and their love for each other. Don looks charmingly kind while Jomi is effortlessly beautiful, the camera just loves her face. In between and during takes, I could really see it in Jomi that she is so in love. As their photographer, I should and I must see that so we can have a connection and be able to bring it out to their photos. That’s what I always do, bring out my couples feelings and emotions. 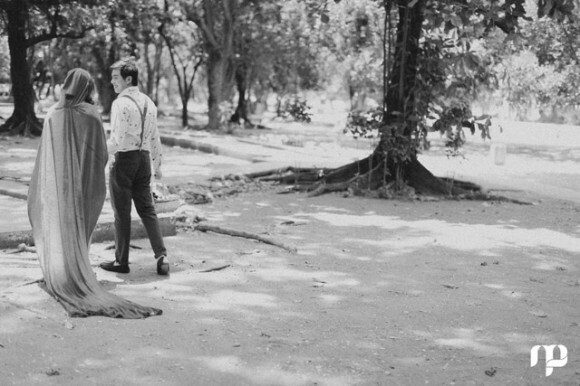 Great shot Michelle and it’s a really good concept for pre-nup photography…. kudos!